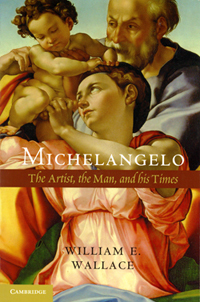 "Michelangelo & the Sistine Chapel: 500 Years"
William E. Wallace is the Barbara Murphy Bryant Distinguished Professor of Art History at Washington University in St. Louis. He is an internationally recognized authority on Michelangelo and his contemporaries. 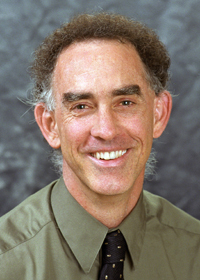 He is the author and editor of six different books on Michelangelo, including Michelangelo at San Lorenzo: the Genius as Entrepreneur (1994); Michelangelo: Selected Scholarship in English (1996); Michelangelo: The Complete Sculpture, Painting, and Architecture (1998); and Michelangelo: Selected Readings (1999). His biography, Michelangelo: The Artist, the Man and his Times was published by Cambridge University Press in 2010. He has received numerous awards and fellowships, including residencies at the Villa I Tatti and the American Academy in Rome. In 1505, the newly elected Pope Julius II called Michelangelo to Rome to carve his tomb, envisioned to be the most grandiose funerary monument since classical antiquity. After eight months quarrying marble, Michelangelo returned to Rome only to discover that the pope's attention had turned to war and the building of the new St. Peter's. Not until 1508 was the artist compelled back to Rome—not to renew work on the tomb, but to undertake a task ill-suited to a marble sculptor: the painting of the Sistine Chapel ceiling. Michelangelo had no previous experience directing a large-scale campaign in the demanding medium of fresco. But here he employed more than a dozen painters and craftsmen to help carry out the herculean project: hauling water up 65 feet of treacherous ladders, slaking lime for plaster, grinding and mixing pigments, pricking and transferring preparatory drawings, and painting miles of architecture and ornament. Michelangelo's objection that "painting is not my art" proved weak against the will of the pope. But once reconciled to the task, the artist devoted enormous energy to creating a masterpiece. William Wallace concludes that Michelangelo di Lodovico di Buonarotti Simoni was not, or at least not only, the epitome of the lonely, tormented, quarrelsome genius. "Certain of Death: Michelangelo's Late Life and Art"
What do we know about the final eighteen years of Michelangelo Buonarroti's life? From his appointment as architect of St. Peter's in 1546 through his death in 1564, Michelangelo completed no further sculptures. He took on nearly a dozen architectural projects, personally supervising half of them, but completing none in his lifetime. He lived with the constant expectation of death. Professor Wallace will examine the seeming paradox of an artist who, despite a plethora of incomplete endeavors, only increased his stature and authority, and extended his influence over the art and architecture of his time. Rather than the entrepreneurial artist of his earlier career, the elder Michelangelo astutely cultivated powerful patrons, influential bureaucrats, and a few trusted companions to realize his vision, remaining ever mindful of his legacy, the salvation of his soul, and the perpetuation of his family.